Peak Land Services, LLC, and its contractors know how difficult navigating the tax world as a landman can be. Choosing a great CPA firm to partner with should be one of the first things every landmen should do when entering the industry. One of the hardest parts about choosing a great CPA is finding a firm or individual who understands the landman business. At Peak Land Services, LLC, we have partnered with Neuwirth, Slaughter, & Associates, LLP. Neuwirth, Slaughter, & Associates understands our industry and has helped Peak and our contractors save each and every year. Neuwirth, Slaughter, & Associates has agreed to partner with Peak Land Services in an effort to write a series of articles and blog posts to help landmen with current taxation issues, and in turn, make more money! Taxation is that old term that literally makes you cringe at the sound. It is somewhere along the lines of fingernails on a chalkboard. Some tackle it head on to get it over with each year as fast as possible and others avoid it, file every extension possible, and then when there is only a couple of days left, pray their CPA can get it done in time. This happens more often than not, and there is always a lot of anxiety when it comes to taxes. Charles Schultz, the cartoonist for the Peanuts cartoon, had one of the cleverest examples of this when he had Snoopy sitting on top of his doghouse with his typewriter typing a letter. The letter read, “Dear IRS, I am writing to you to cancel my subscription, please remove my name from your mailing list.” I really wish it was that easy, but in reality taxes affect us all, especially those in the self-employment arena such as Landmen. Every landman is in a different situation, but there are some basic principles that fall into play when doing your tax planning. The two most common are maximizing deductions and minimizing taxes. In order to accomplish those principles, let’s make sure everyone understands the types of taxes facing landmen. First and foremost is the regular income tax. The regular income tax is figured by taking income from all sources less deductions and figuring the tax from the IRS tax tables. Everyone pays income tax based on their net taxable income whether you are a landman or you are a W-2 employee. In addition to the regular income tax is the dreaded self-employment tax. Self-employment tax is just a fancy way of saying Social Security & Medicare. A person who is self-employed (which fits most of the landmen) not only pays regular income tax but also pays self-employment tax on their net self-employment earnings. There is a complicated formula for figuring the self-employment tax but it is basically 15.3% of your net self-employment earnings after taking the deduction for the employer portion of the self employment tax. Sounds confusing right? Well if it was straight forward it wouldn’t be coming from the IRS. So for purposes of this article we will keep it simple by explaining it as another 15.3% tax in addition to the regular income tax. An example to illustrate this would be that a self-employed landman who netted $75,000 in self-employed earnings (income less applicable deductions) would owe $10,597 in self-employment tax before paying any regular income tax. The $10,597 figure was calculated using the self-employment formula and the IRS tax tables. Now, take a single person, with no children, who takes the standard deduction and has this self-employment income as their only source of income-they would have another $10,564 in regular income tax to pay as well. The $10,564 figure was calculated using the 2017 IRS tax tables for a single individual taking the standard deduction. The grand total of tax being $21,161 based on 2017 tax rates. That is a pretty staggering number for any self-employed individual, so let’s talk about ways to improve that number. Tax planning is the key to managing your taxes. The first thing I tell every client is that everyone pays taxes. The focus we want to have is on minimizing those taxes. 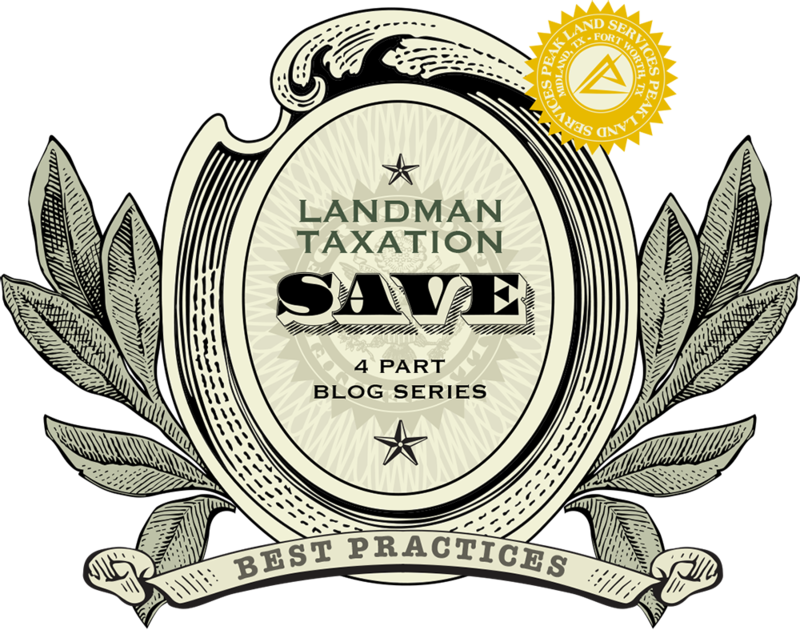 There are several ways for landmen to work on minimizing those taxes. First and foremost, make sure you are taking all of your applicable deductions. If you are not taking every deduction available then you are basically donating money to the IRS. Our goal is making sure we help landmen take all of their available deductions such as mileage, meals, hotel, cell phone, health insurance, interest paid on automobiles, home office deductions, supplies, and many more. The list of potential deductions is too long to list them all in this article. When their return is completed, everyone wants to know they have taken all the deductions available to them. To go along with maximizing deductions, the second step would be to look to see if changing structure is right for you. Operating through an entity such as an S Corporation can result in tax savings through lower self-employment taxes and other company fringe benefits. Those benefits can range from a medical reimbursement plan, company sponsored education benefits, and company sponsored retirement plans. Each client’s individual situation would determine if changing structure would be right for them. The third step in tax planning for a landman is to look at maximizing tax deferrals. There are many different types of tax deferred accounts such as an IRA, 401K, SIMPLE, Defined Benefit Plan, or SEP. Anytime you fund your retirement account, you get a deduction for the amounts you contribute up to the maximum based on the type of account. The government is giving you a deduction for taking money from an account that belongs to you and putting it into a retirement account that still belongs to you. This is one of the best ways to put money away for you and let the government fund part of the deduction through tax savings. Individual tax planning can be tailored to each person’s goals and needs, but the main thing we want to focus on is the planning part. Once the year is over there is very little you can do to change the tax liability for that year. Our goal is to focus on minimizing taxes, make sure clients are structured correctly, and encourage clients to maximize retirement savings. When it comes to your taxes you do have a choice. Make sure you have done everything you can to minimize your liability and keep more of what you worked so hard to earn. We will be following this article up with additional articles on deductions, entity structures, and a final fourth article on retirement accounts and options. These articles are going to be tailored for the self-employed and provide ways to help them. Watch for them coming soon. To learn more visit us at our website www.mycpasaid.com or contact us to discuss your personal situation. Helping our contractors is something we are proud of here at Peak Land Services. We try our best to make sure our contractors are given the necessary tools and help from industry peers to be profitable and successful as landmen. Call Peak Land Services today if you are interested in hearing more about current land positions available on one of our many crews! Texas Tech Deed Plotting Seminar • Our Team is Growing!